Sebastian has been working as a Licensed Finance Broker since 1998, & prior to this he worked as a Commercial Bank Manager . Sebastian has over 23 years’ experience in the finance industry and writes in excess of $55 million worth of finance annually. 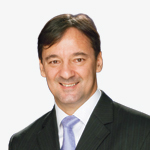 In 2002 he was a nominated for “Salesperson of the Year” at The Australian Mortgage Awards. In 2010, together with his business partner Vic Giannakis, Sebastian was an inaugural inductee into the Australian Finance Group’s (AFG) Hall of Fame . 2010 was a big year as Sebastian was awarded Commercial Loan Writer of the Year, (WA). He also a regular nominee of AFG’s WA Loan Writer of The Year. Sebastian is knowledgeable in all areas of lending and can put together the most appropriate finance package for your individual situation. 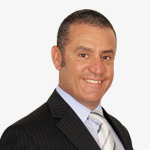 Vic Giannakis has over 20 years’ experience as a Finance Broker. He is recognised as one of WA’ top brokers having been in the Mortgage Professional Australia’s ( MPA) Magazine numerous times in the Top 50 national achievers – having ranked as high as number 12 nationally. Vic had an accounting background for 10 years prior to entering the finance broking industry. He prides on his caring and down to earth approach that makes him a favourite amongst clients.